Feel like taking an underwater dive? Want to explore the sea floor in all its beauty? 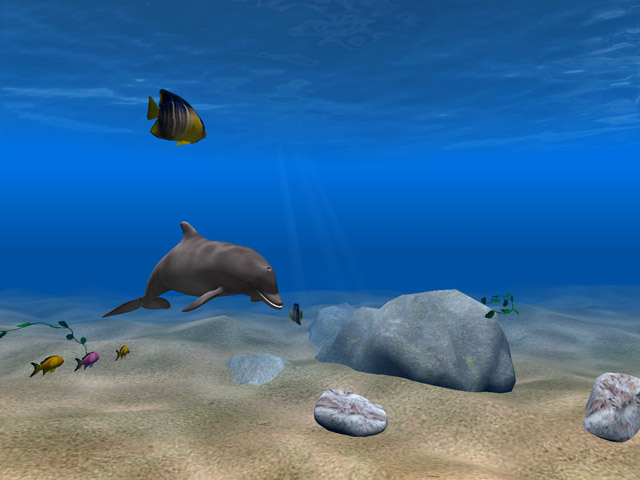 Dolphin Aqua Life 3D Screensaver lets you feast your eyes upon soothing scenes of underwater life. Relax as you admire the beautiful aquatic world with its charming dolphins and elegant sea creatures. This dolphin screensaver plunges you into majestic tranquil surroundings. Soothing aquatic sounds bring relaxation. The assortment of colorful tropical fishes, age-old rocks, and fabulous fauna adds brilliance to the scenery. Watch beams of sunlight reflect off the dolphin’s sleek skin and display interesting patterns on the sea floor. Our dolphin screensaver starts immediately; there’s no loading screen. What’s more, this magnificent view can stretch over two monitors at a time since it comes with dual monitor support. 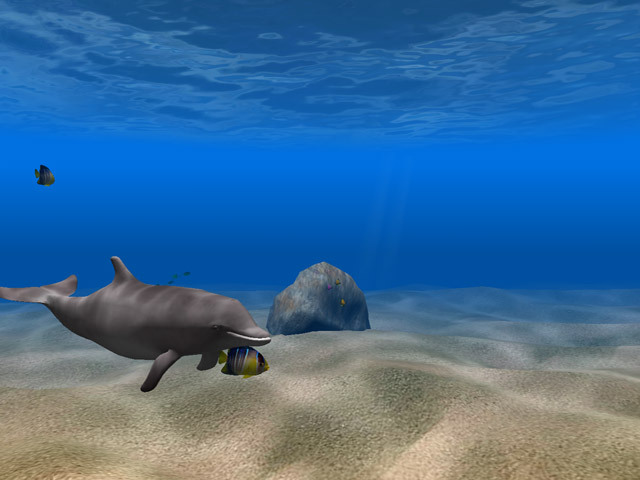 Get Dolphin Aqua Life 3D Screensaver for a most exciting underwater experience! 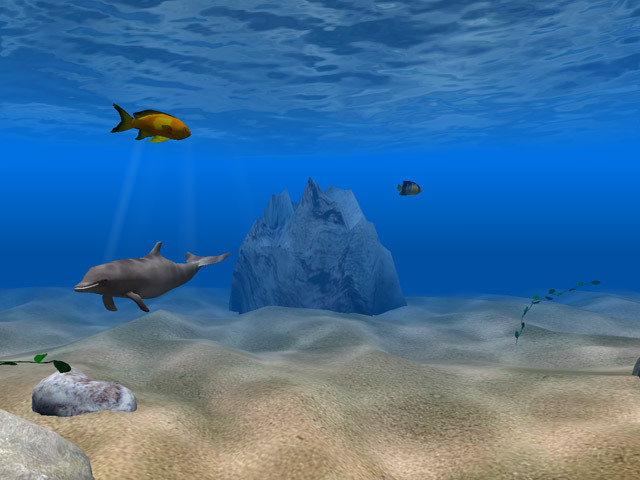 After you have downloaded and installed the Dolphin Aqua Life 3D Screensaver it operates in the trial mode. You will see two reminders to purchase and register the full version. The first appears each time when the screensaver finishes its operation and the second appears after one minute of screensaver operation. To obtain a full, unlimited version of the Dolphin Aqua Life 3D Screensaver, you must purchase it. By purchasing this software you become a registered user. As a registered user you will have all trial limitations removed and all program updates provided for free, without any charge.